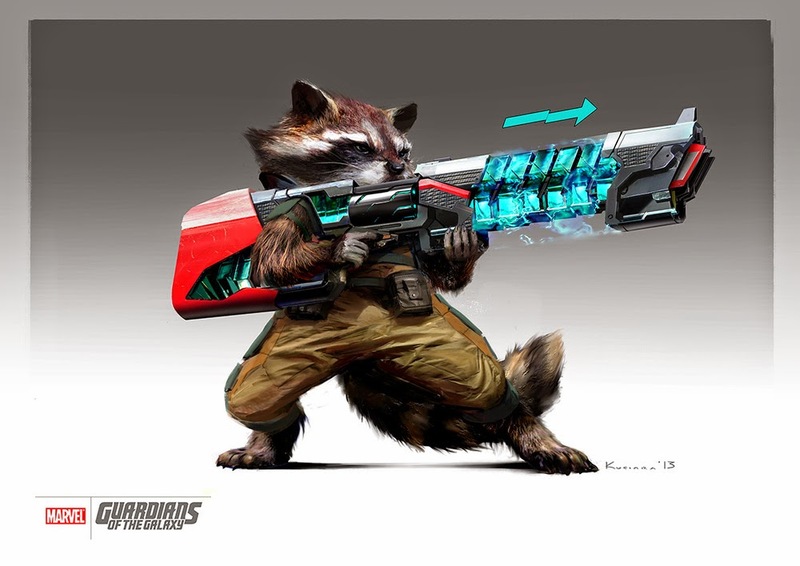 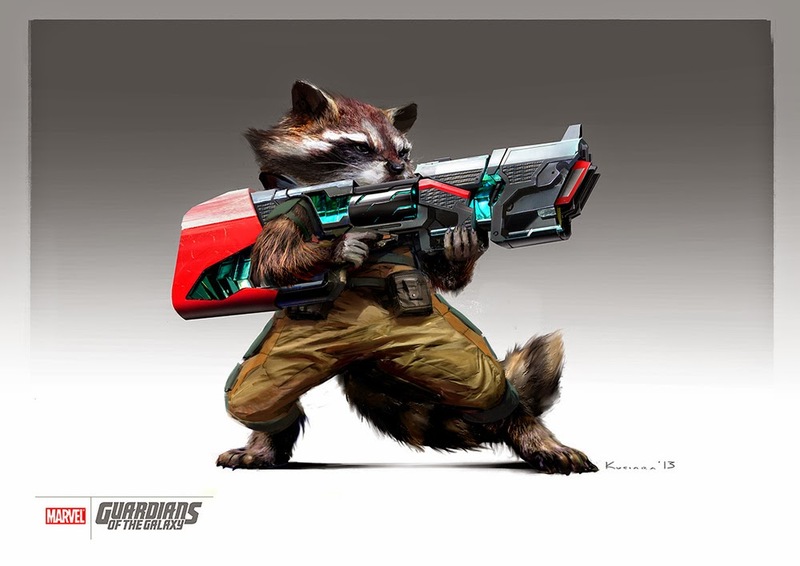 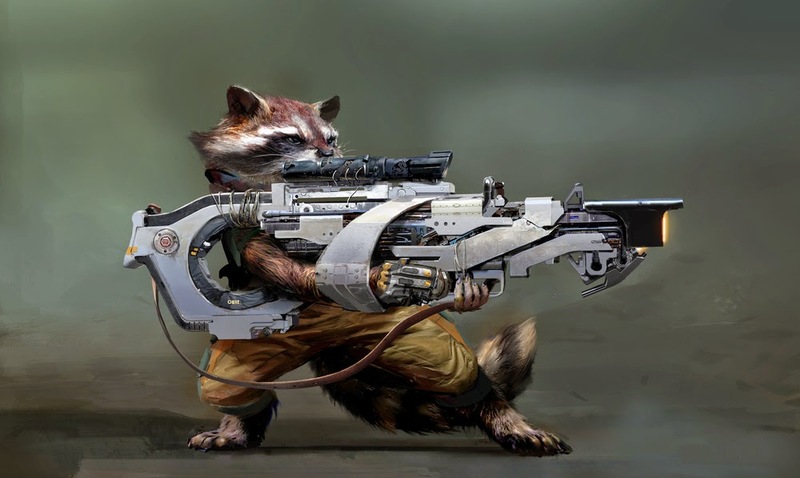 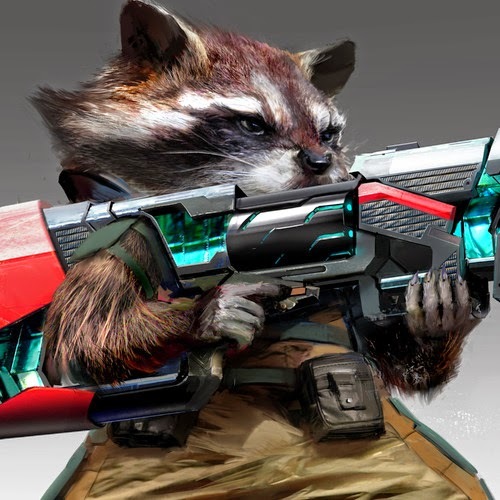 Towards the end of 2012 I got contacted by MPC to work on VFX and visual development of Guardians of the Galaxy. 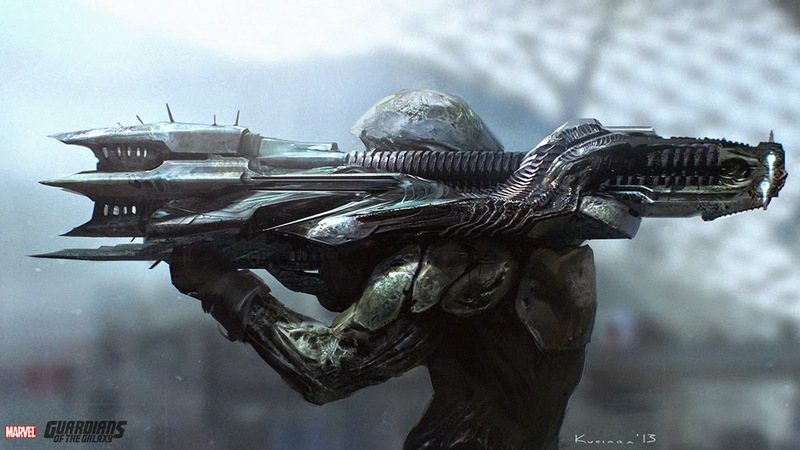 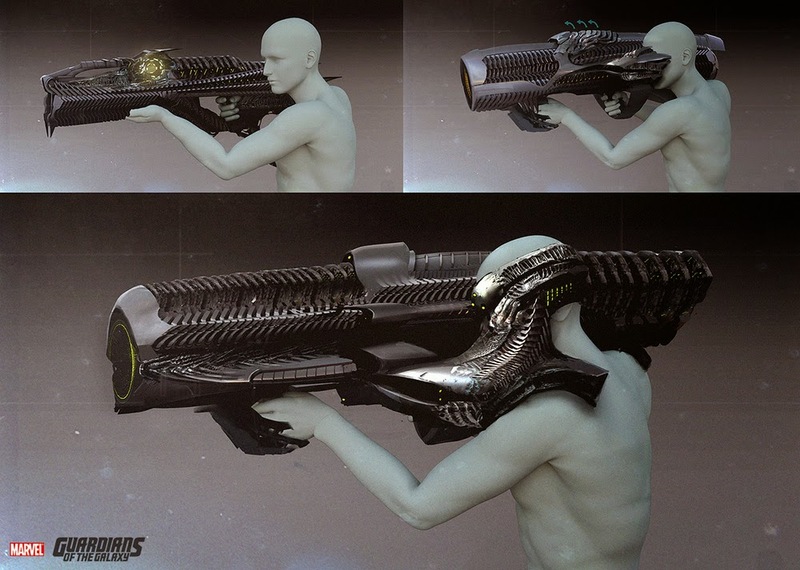 In collaboration with folks at MPC I worked on weapon designs. 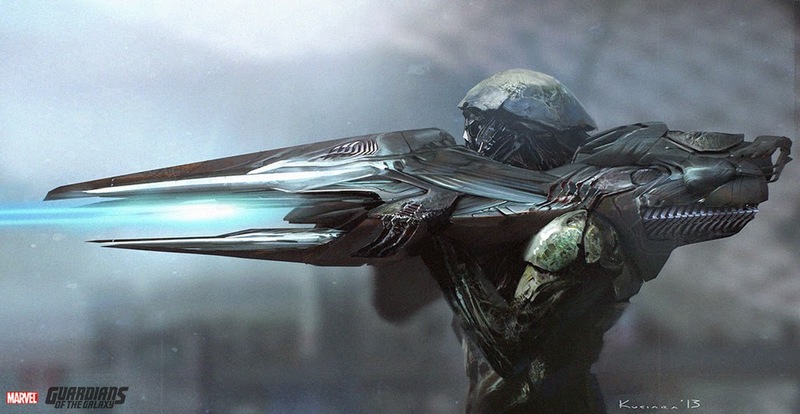 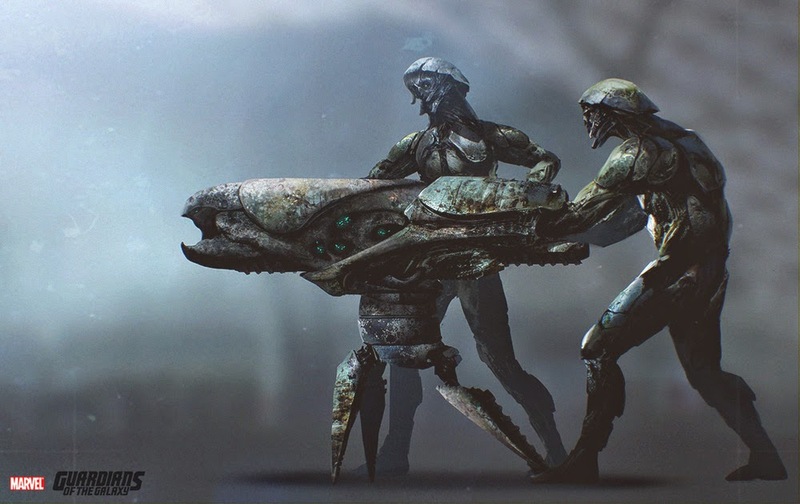 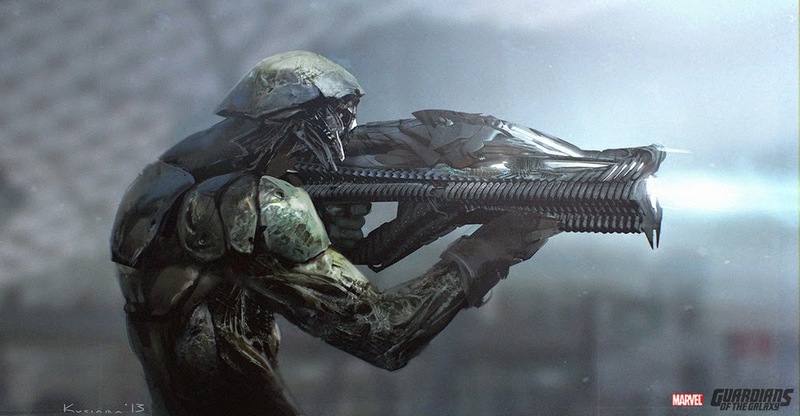 Most of the Badoon concepts are direct collaboration and often times based on original backdrop from talented artists David Hobbins and Goran Bukvic. 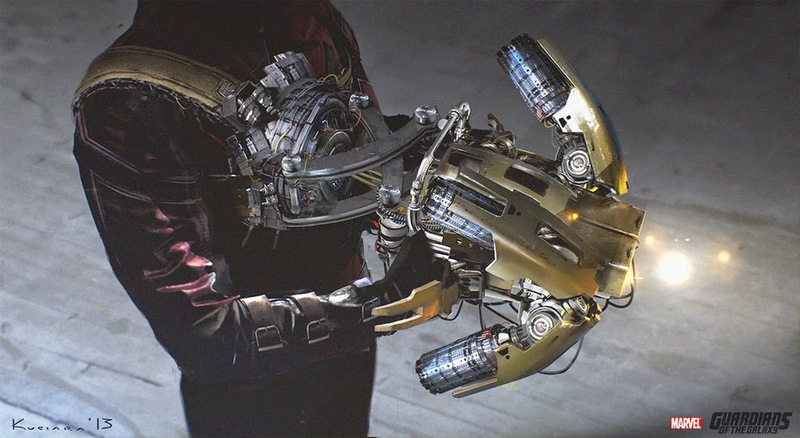 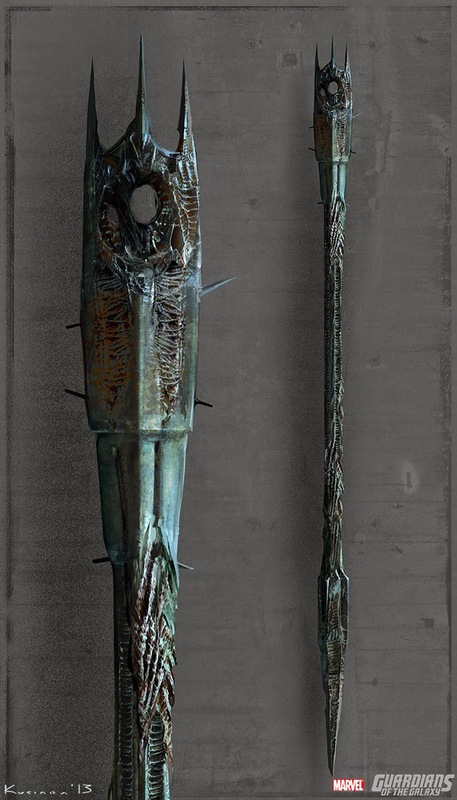 The nuclear weapon used by Star-Lord in the movie was created in collaboration with Jama Jurabaev and 3d artists at MPC.